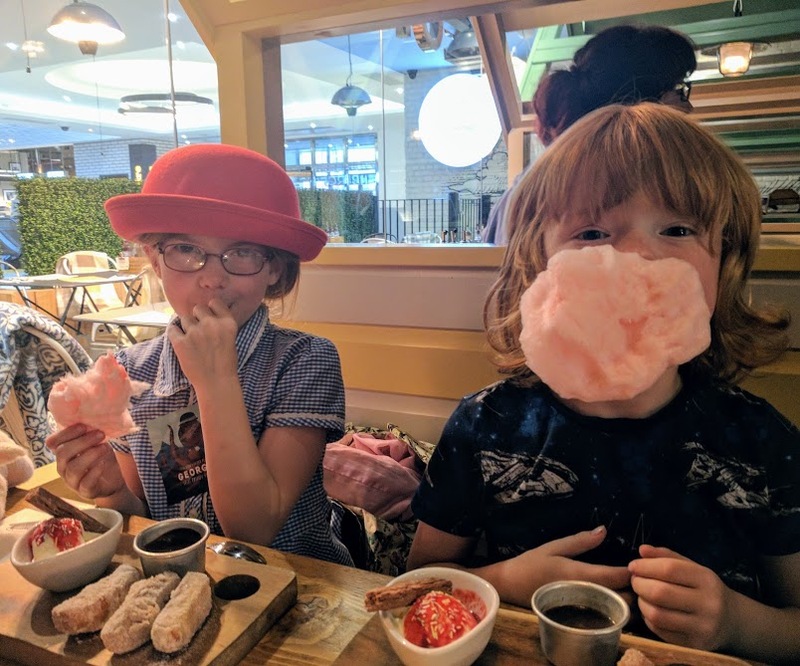 I am asked in my Facebook groups time and time again to recommend places to eat with kids before visiting the Theatre Royal so I thought I'd put together a few of my favourites. Let me know where you like too. The Fat Hippo Underground would be my number one recommendation. It's right by the theatre and they serve a cracking children's menu which is perfect for fussy kids as they can build their own burgers (or order chicken strips if burgers aren't there thing). 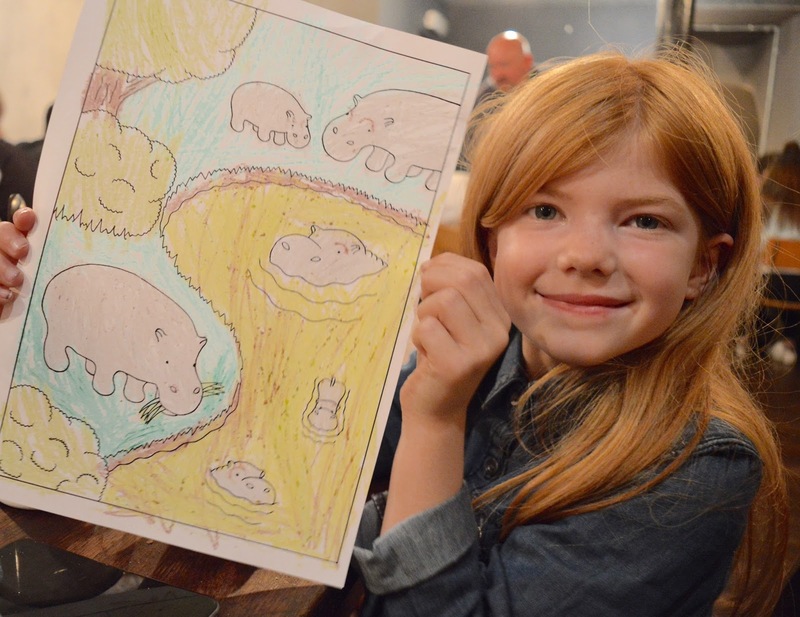 Heidi absolutely loves the hippo-themed colouring on the back of the menus too. I'd recommend booking during Happy Hour if you're on a budget and if you'd like to splash out, check out their milkshakes too. Service has always been pretty quick whenever we've been here too. Just to note, there's a flight of stairs to navigate. I really like The Purple Bear and we'd visit more regularly if Steve wasn't so brand-loyal to Fat Hippo. 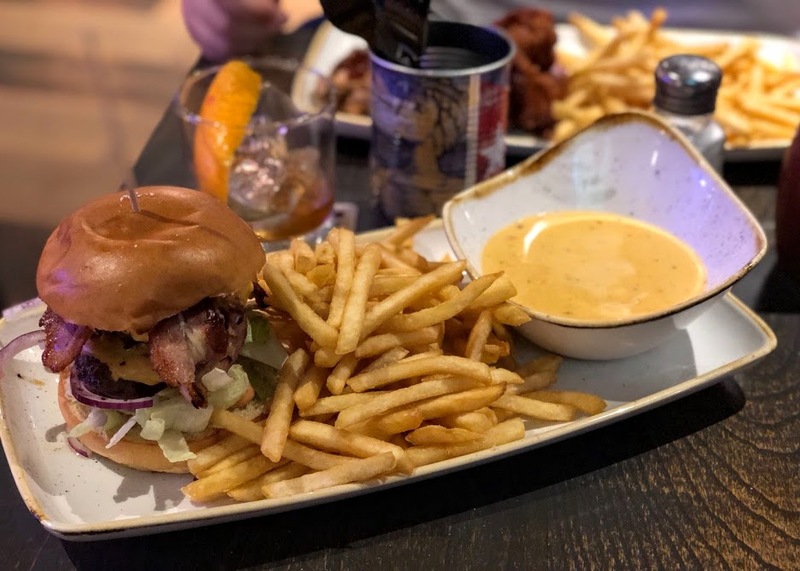 This burger and smokehouse is just off Northumberland Street and serves fabulous burgers, slow-cooked meats and cocktails. I especially like their burger fondue. Their children's menu is a bit of a bargain at less than a fiver too. 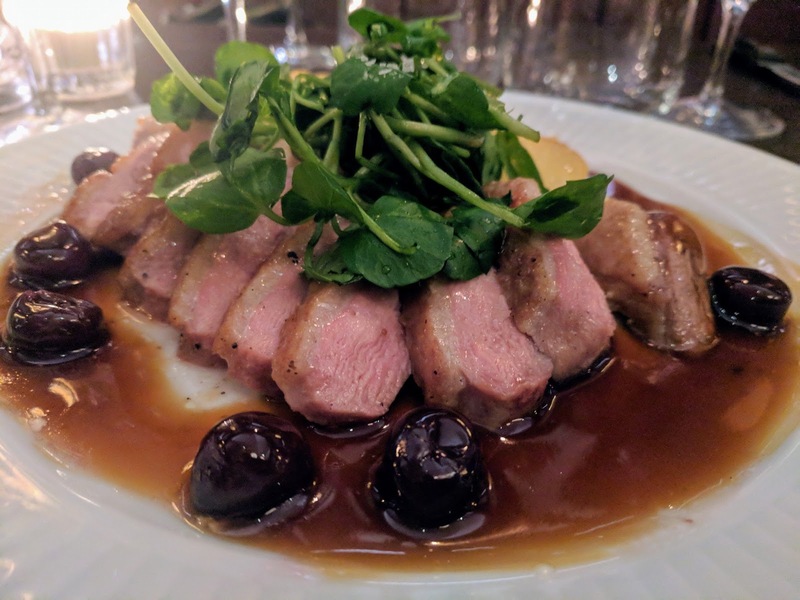 What really makes The Purple Bear stand out for me is their really welcoming staff and quirky ambience - you'll find menus inside of classic Disney books and retro cartoons playing on the big screens (Ducula was playing during our last trip). Just to note, there's a flight of stairs to navigate. STACK Newcastle is fast becoming my new favourite place. It's child-friendly and what I love about here is that service is generally pretty quick and there is so much choice. I think it's an ideal place to visit with older kids as you can all go off to various stalls and order your own food before meeting on one of the communal tables. 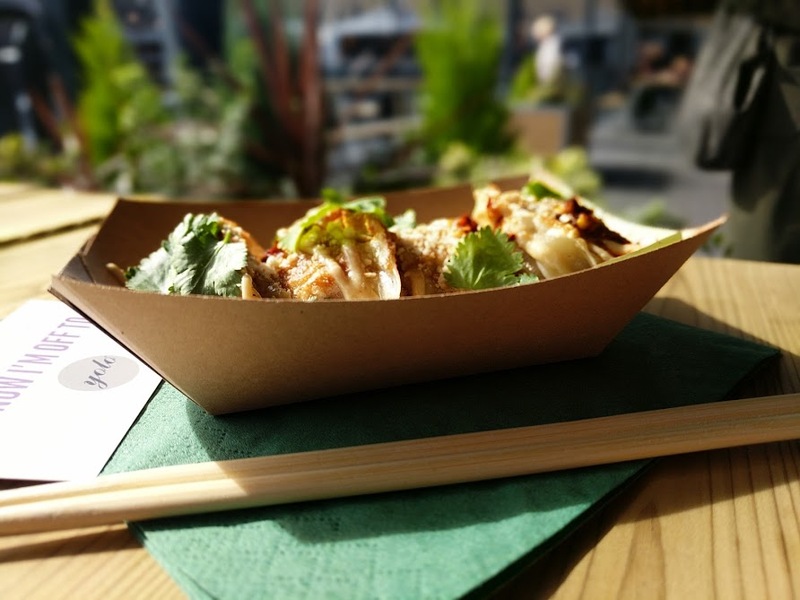 There are lots of child-friendly options including burgers, pizza and fish and chips alongside more adventurous options such as sushi, Mexican tacos and dumplings. Shock admission but we once went to Pani's and I wasn't impressed. I found the food to be pretty bland and the service abrupt. However, I think we must have visited on an off day as Pani's is somewhere that is recommended time and time again. Others praise the traditional, rustic Italian-style food and Pani's has lots of fans who say they are always super welcoming to children. I really think I need to give them a second chance. 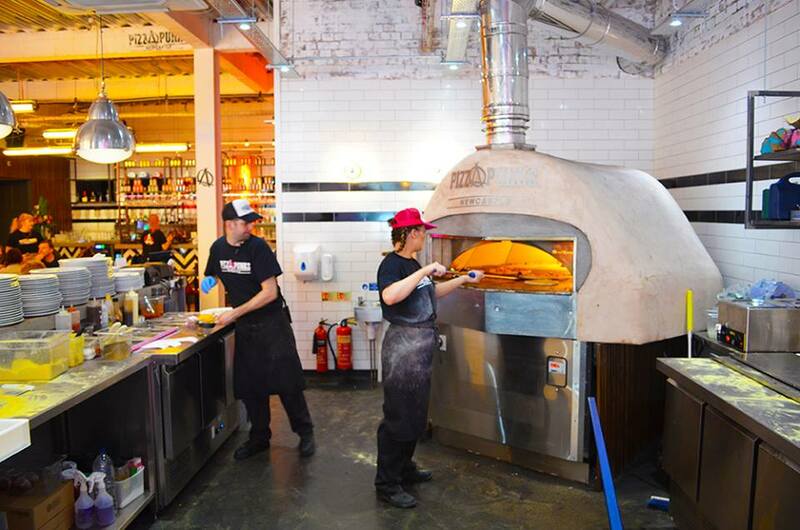 New kid on the block Pizza Punks is receiving rave reviews. Their children's menu is simple (pizza and ice cream) or you can order a large pizza to share and with a funky interior, kids are made to feel more than welcome. I've heard that service is pretty speedy and although I haven't tried here myself, others have mentioned that their pizza is yummy. If you're visiting during the day and the Grainger Market is still open, I'd highly recommend a trip to pick up a light bite. My kids love it here and there's a fair bit of choice when it comes to food too. 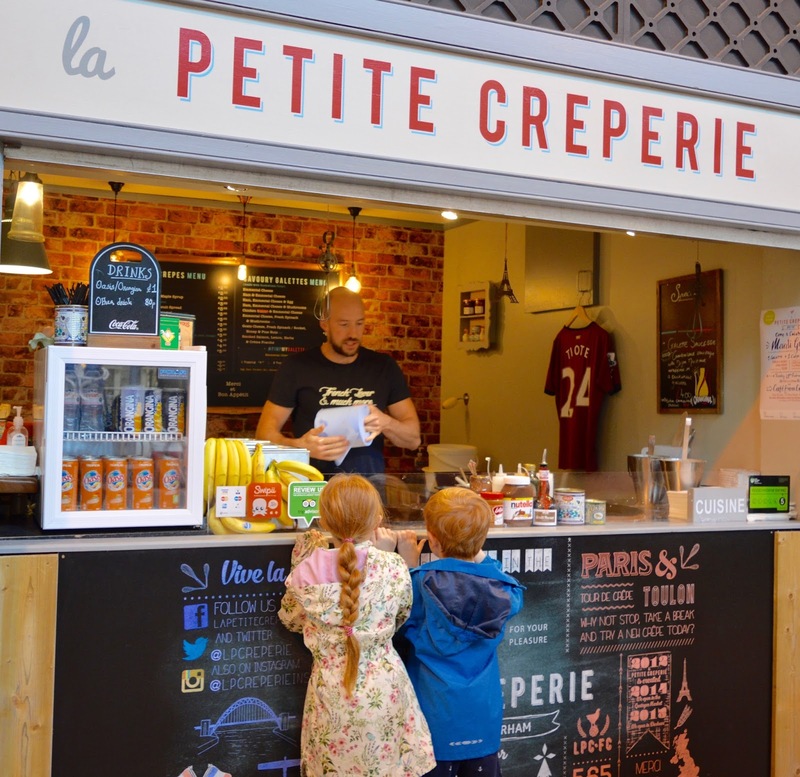 Our favourites are huge slices of pizza from Pizza by Slice and crepes from Julien at Petite Creperie followed by a speciality brownie from Pet Lamb Patisserie. Service is always speedy and the Grainger Market is ideal if you're in a rush. Grey's Quarter is filled with family-friendly chains where you know exactly what you're going to get. This area of town is usually filled with families and I'd personally recommend Tapas Revolution (they have the cutest kids menu and serve delicious tapas) and Bella Italia for a really good children's menu, friendly staff, ice cream cart and plenty to keep kids occupied. George's Great British Kitchen is also great and lots of fun (including selfie props) - especially if you can grab a booth. The Botanist does not allow children on the premises after 7pm which is something to be aware of but if you're dining early in the evening or over a weekend during the day, I'd highly recommend. It's definitely one of the kids' favourite spots. Children's meals are good value and quirky (such as baked beans being served in plant pots and ketchup in mini wheelbarrows) and for grown-ups there's an extensive cocktail menu and live music. Sitting under the twinkling lights of the dome always feels like a treat too and I'd also recommend their Sunday Lunch. 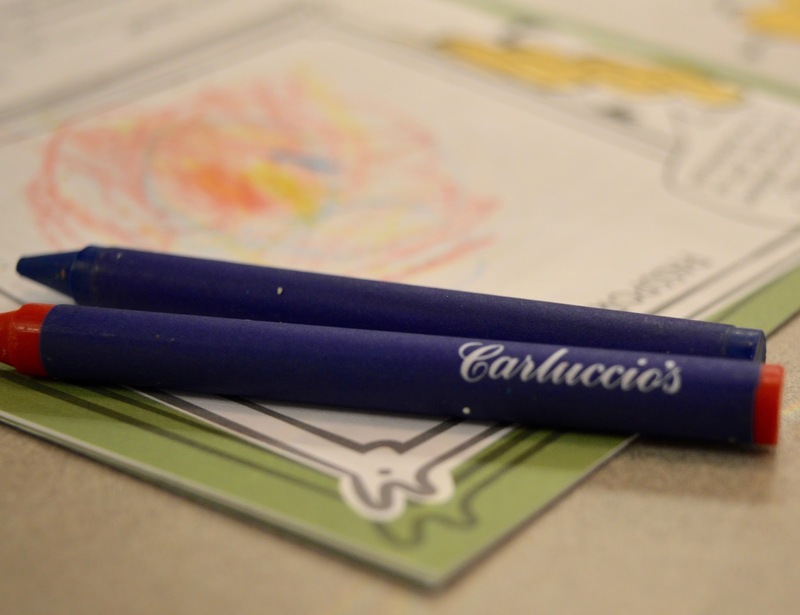 Carluccio's is fantastic for kids - you can either purchase a half portion of any dish on the main menu or order from the kid's menu which comes with a side of vegetables and fresh juice as standard. There are lots of favourites such as spaghetti and meatballs, pesto pasta, fish fingers and grilled chicken on the menu and there's a dedicated gluten-free and dairy-free menu available too. Cote Brasserie feels nice and fancy but they're also pretty welcoming towards kids. Their children's menu is inexpensive and features favourites such as cod goujons, sausage and mash and croque monsieur. This restaurant also runs a dedicated pre-theatre menu for grown-ups which is perfect if time is of the essence. If you're after somewhere special, I'd definitely check Cote Brasserie out. If your children are adventurous, I'd highly recommend checking Dabbawal out. The food here is fantastic and the staff/kitchen team are always super accommodating. 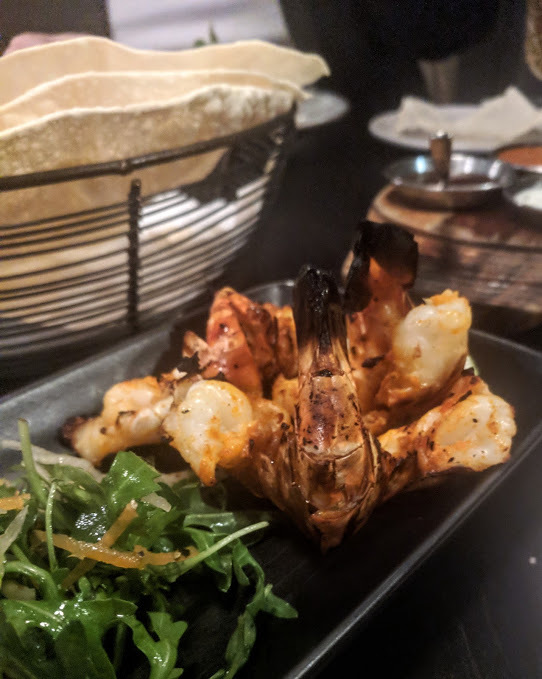 We like ordering a selection of small plates or the chef's surprise menu and sharing it between us all. Service is always very quick and the atmosphere is bustling. I'm a huge fan of Tyneside Bar Cafe. It always feels like I'm one of the cool kids when I dine here. There are quite often cartoons on the cafe's big screen and there's a box of toys (by the station en-route to the loos) for you to help yourself to. Their children's menu is just £4.50 and includes simple favourites such as boiled eggs, halloumi, burgers and chicken breast and their fresh salads and daily specials for grown-ups are always delicious. 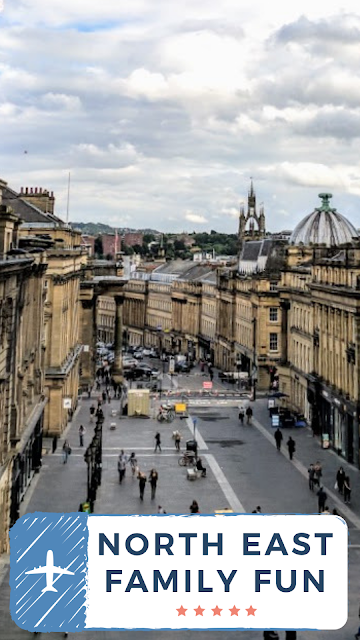 Let me know where you like to grab a bite to eat before a trip to the Theatre Royal with kids and if you have any plans to catch a show soon. 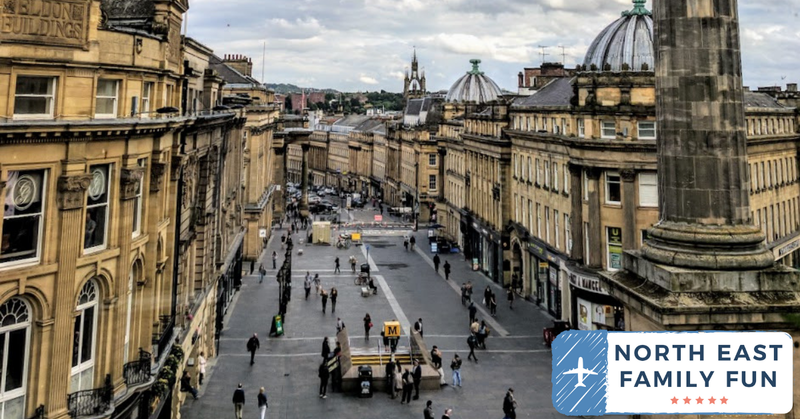 For more ideas, why not join our North East Restaurant Reviews Facebook group - a place to share recommendations and ask for advice about dining out across the North East. Such a handy reference guide, my mind always goes blank when I'm trying to think of places to eat near the theatre!